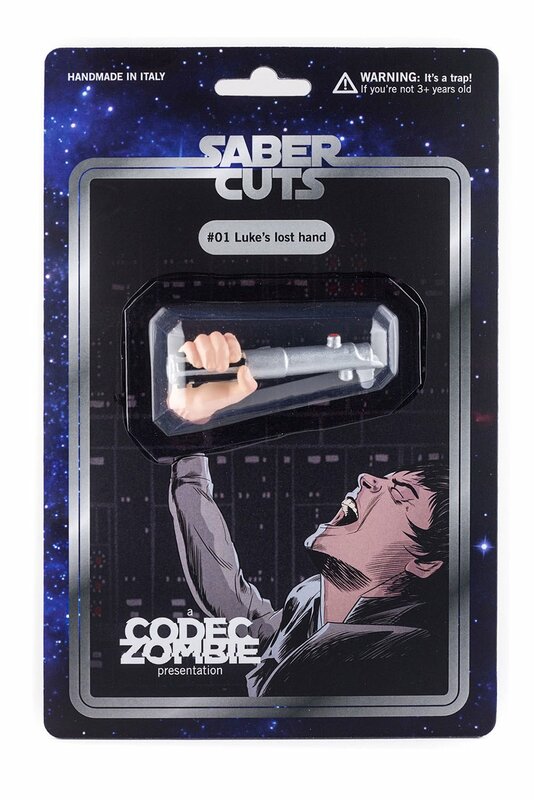 Multimedia artist Alessandro Randi aka Codec Zombie recently launched a line of handmade collectibles that he calls Saber Cuts. 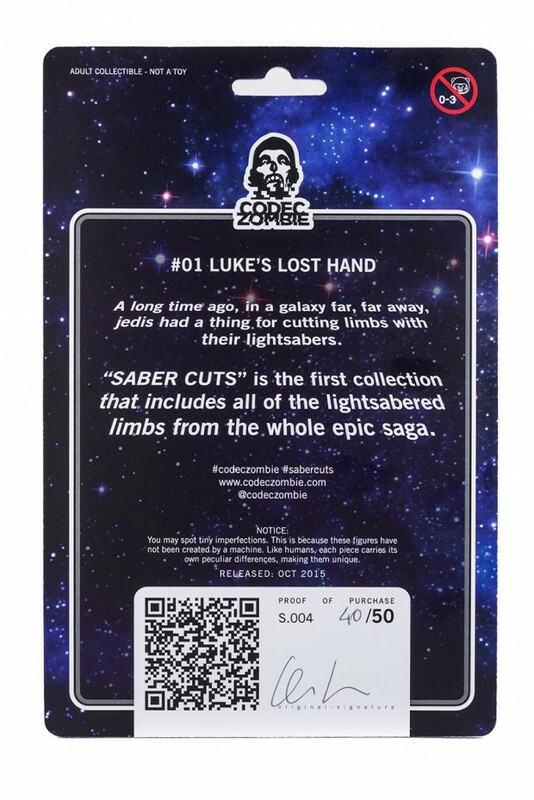 Similar to Janky Toys’ ultra limited Severed Limbs collection, Saber Cuts will comprise of only, well, severed limbs, but Codec Zombie is focusing only on those that were cut off by lightsabers. 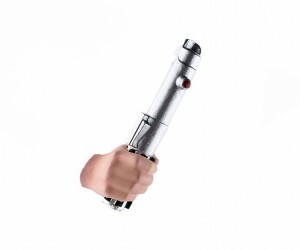 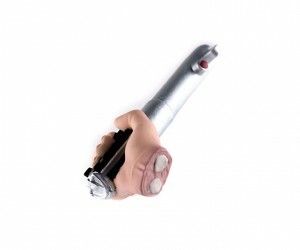 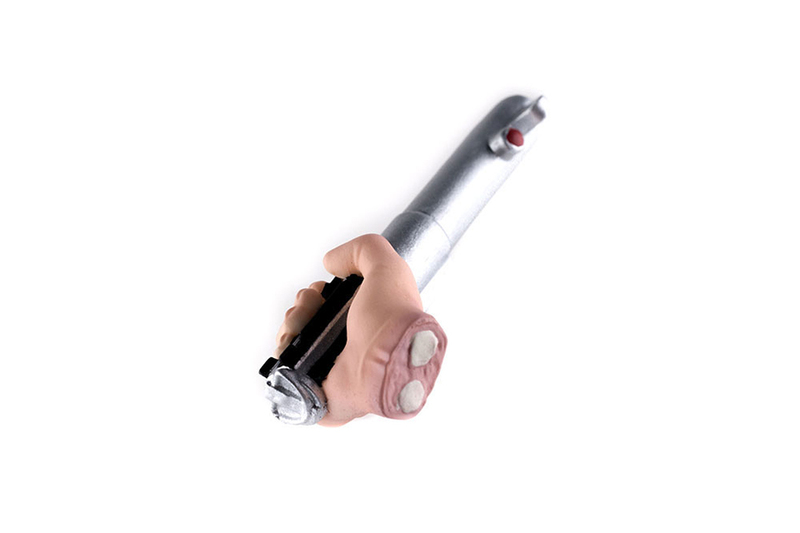 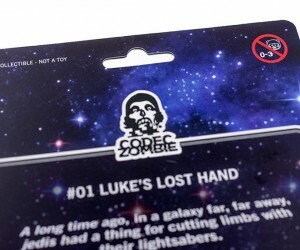 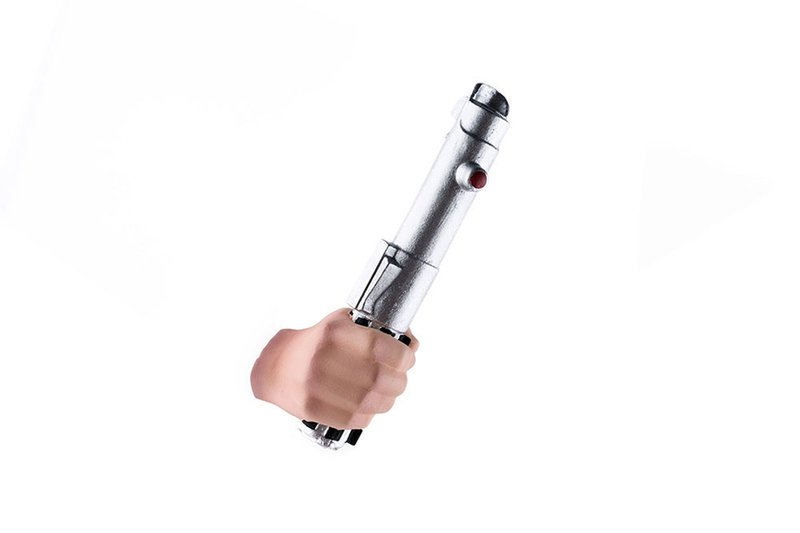 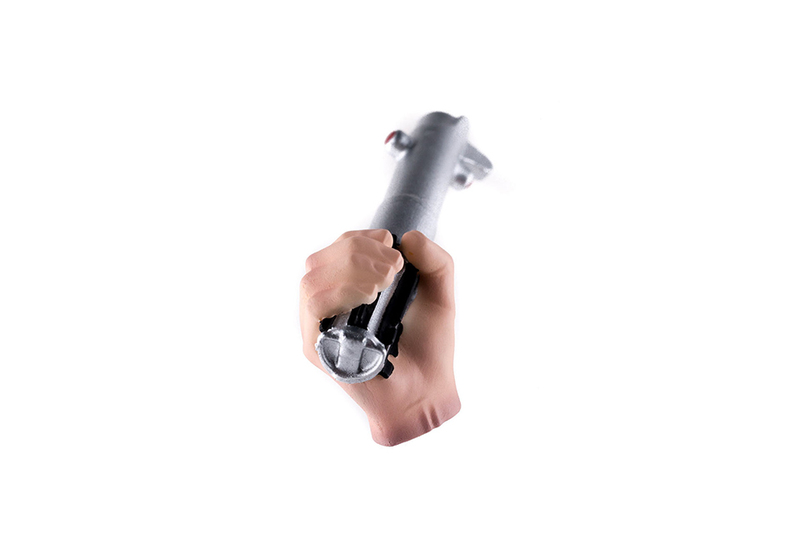 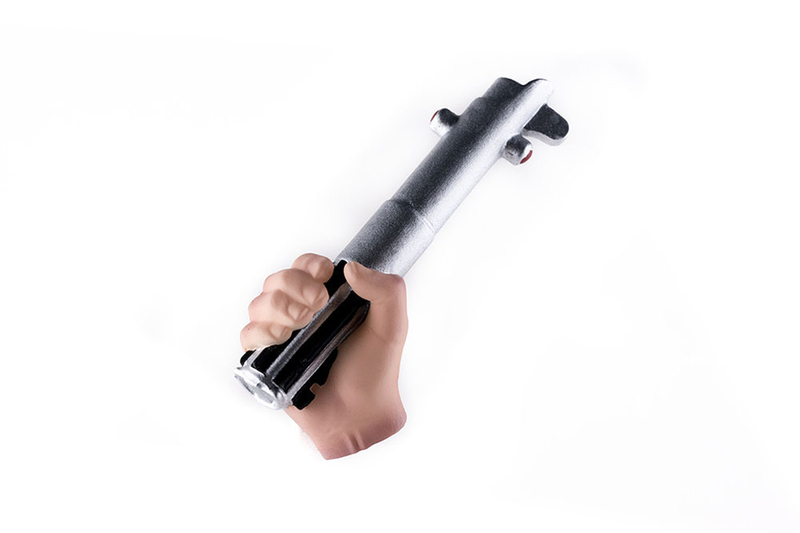 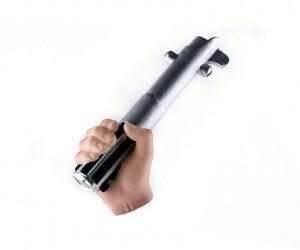 First up is the most famous lightsabered limb, Luke’s hand, still clutching his lightsaber. 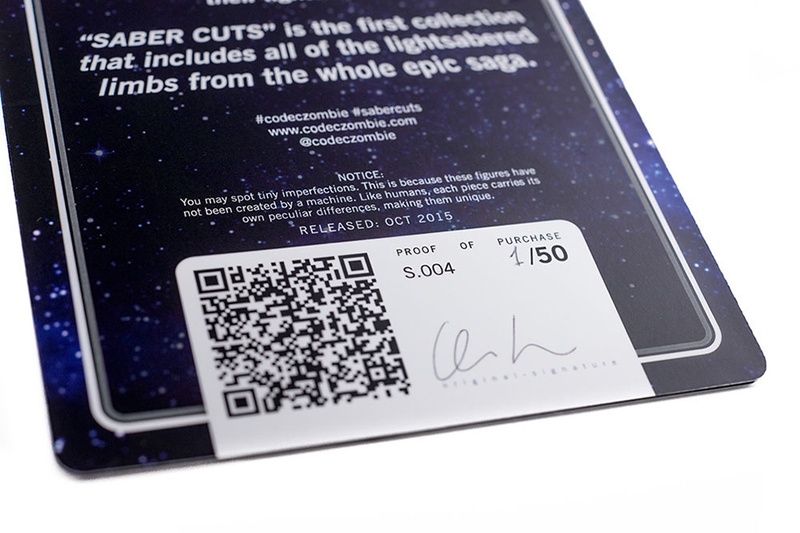 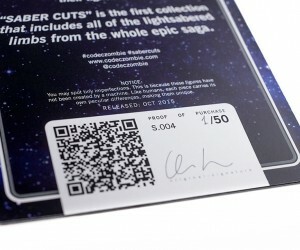 It’s limited to only 50 units and costs $125 (USD) each. 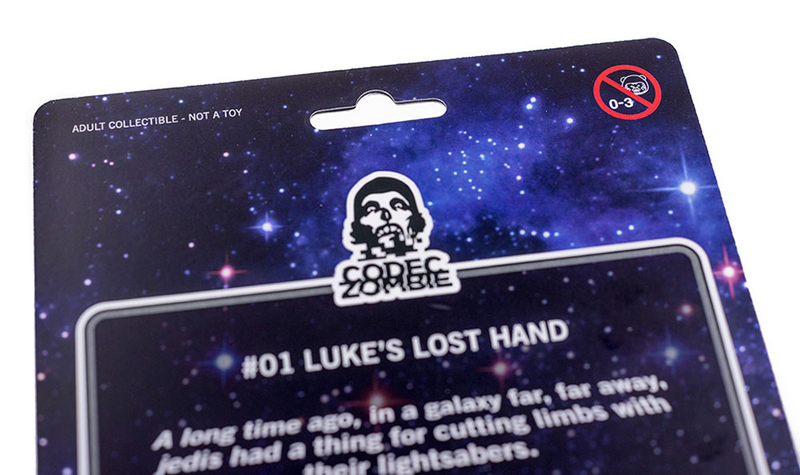 The first 25 are available from Spoke Art while the other half is on Codec Zombie’s online shop.